In order to continue their search for the next generation of talent, Cartoon Network has announced a brand-new initiative – Cartoon Network Imagination Studios – a specially-crafted, creative online platform to inspire, motivate and celebrate the wild imagination of children across Africa. 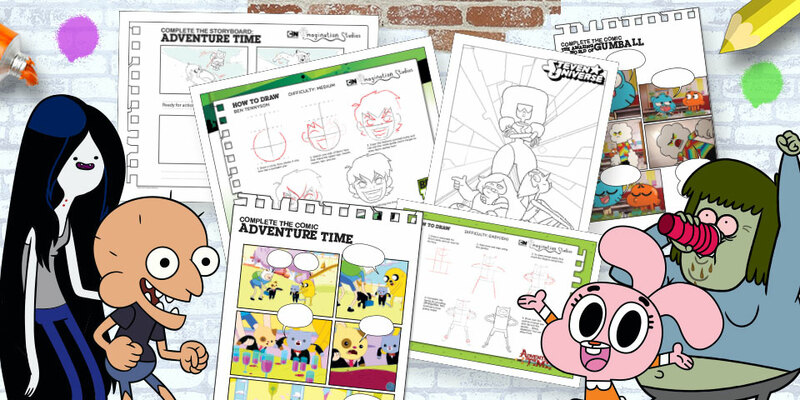 Cartoon Network Imagination Studios provides a sneak-peek into the “real” Cartoon Network Studios, giving children insight into the making of their favourite cartoons, encouraging imaginative, unfiltered, creative thinking - providing the perfect constructive entertainment to combat boredom. But the fun doesn’t end when the holidays are over. Cartoon Network fans can look forward to an amazing Cartoon Network Imagination Studios competition, launching through this website for all of Africa in 2016. Countries across the continent will be offering children, aged six to 12 years, the opportunity to enter their very own original, unique creations – be it a new character drawing, storyboard or animation – to the Cartoon Network Imagination Studios Awards, and in return may win an opportunity to see their creations come to life as each winning project will be aired, live on screen, on televisions across Africa on Cartoon Network, DStv channel 301. “Cartoon Network Imagination Studios is a place where children can learn, gain inspiration, have fun and, ultimately, be themselves; it promotes the value of being authentic, unique, and different and teaches children how to express themselves by means of creation, through art. The launch of Cartoon Network Imagination Studios marks an important milestone in the network’s commitment to helping children learn and develop their Imaginative, creative skills – using the channel’s affinity with young audiences to do so,” says Pierre Branco, Vice President Southern Europe and Africa for Turner Broadcasting System.